New Mexico has a long history of wine production, starting with the mission grape brought here by the Spanish Colonists. The fertile soil, high altitude and dry moderate weather make the Tularosa Basin a perfect place to grow not only grapes but pistachios and pecans as well. 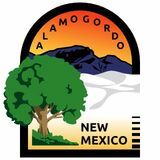 You can explore numerous vineyards and nut farms, minutes from Alamogordo. Many of these locations offer unique gift shops, gorgeous views, wine or nut tastings, special events and daily tours. Visit these amazing places to learn more about the rich history of farming in New Mexico, and don’t forget a bottle of wine and a burlap bag of nuts to take home. HISTORIC NEW YORK AVE. WHITE SANDS BLVD. Download Our New App! Quick access to maps, dining options, calendar of events, videos and photography. Learn about the local climate, interesting facts, and much more.